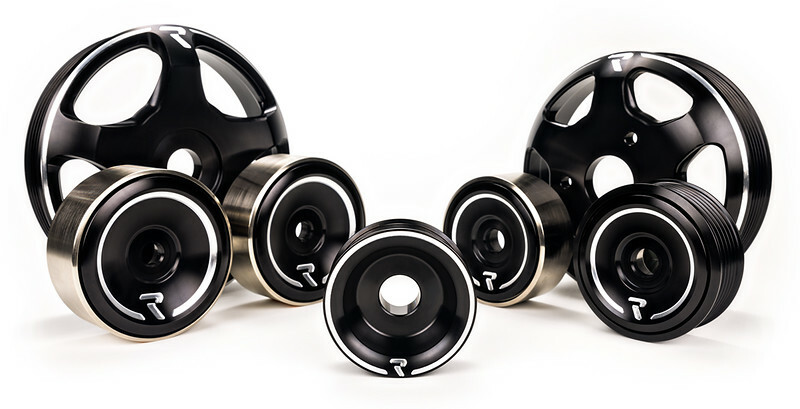 Raceseng is proud to introduce Revo 7, a lightweight, performance pulley kit for the FR-S, BRZ and GT86 FA20 engine. Stock pulleys dragging you down? 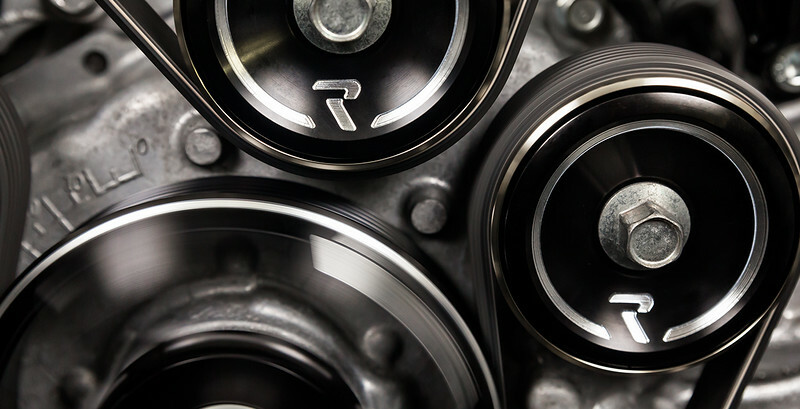 Free your engine with the Revo 7 lightweight performance pulleys for the FA20 engine! The Revo 7 pulley kit shaves off 4 lbs. of rotating mass off when compared to the OEM system. The pulleys are not underdriven, they are the same size as the OEM pulleys and do not require a special belt. Bolt on and experience the difference! The innovative idler and tensioner pulleys feature a floating face design. As your belt turns, the face of these pulleys stay static providing a unique look like no other pulley kit. 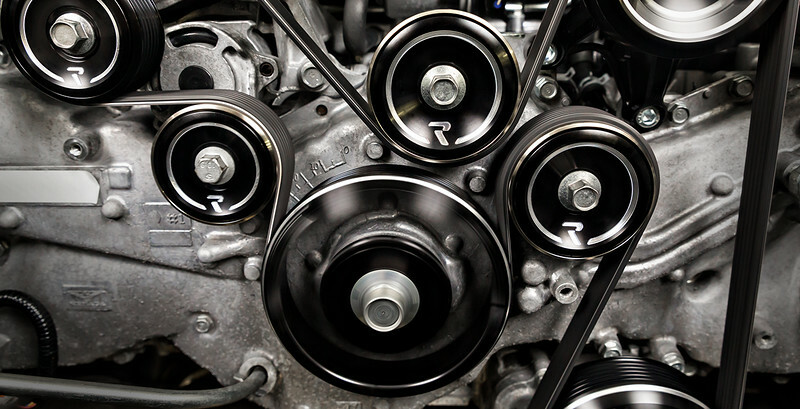 All seven engine pulleys packed with performance, innovation, design, engineering, and quality. The Revo pulleys were styled to have a unique and common design language. Thier signature design provides enthusiasts with a premium look that stands out from the competition. The innovative idler and tensioner pulleys feature a floating face design. As your belt turns, the face of these pulleys stay static and do not spin, providing a unique look like no other pulley kit. 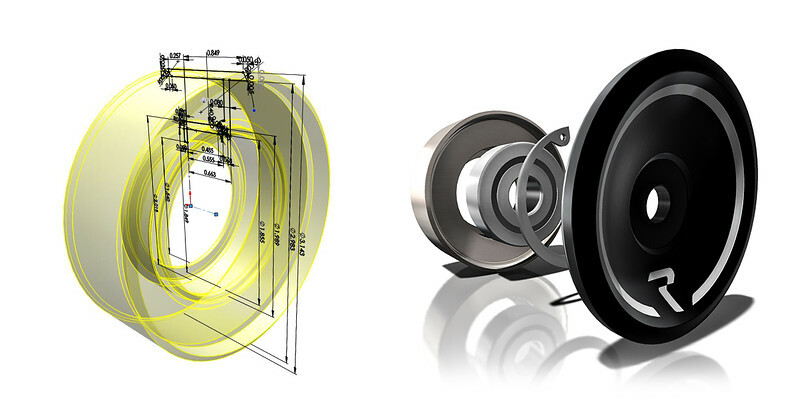 The Revo pulleys were conceived in our minds and brought to life using advanced computer software. The pulleys were put on a extensive diet to reduce their overall mass and moment of inertia. They designed the pulleys to keep their mass as close as possible to the center of the pulley, requiring less torque to spin the pulleys and delivering more power to your wheels. The pulleys were run through extensive FEA simulations to determine where they could remove material without sacrificing the structural integrity of the pulley.